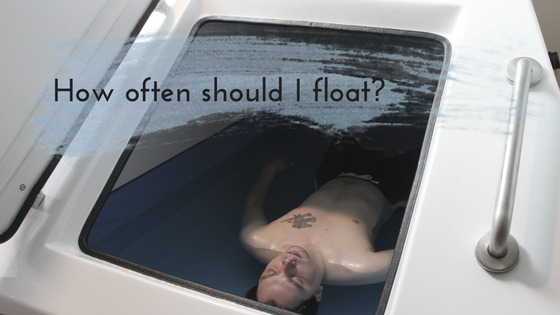 The most often asked question we hear after a float is, "How often should I float?" The answer isn't so simple. And in the end it's one only you can answer. So here’s the breakdown. We answer the when, why and even how to shower for your float. FAQ - Do I Have To Float For 90 Minutes? We do understand that not everyone needs 90 minutes in the tank. Infact, my business partner often only floats for 60 minutes at a time. However, we have observed that often, when people are concerned about the length of time in the tank before their float, they often find themselves surprised when their 90 minutes fly by. FAQ - Do I have to close the float tank door? People with claustrophobia consistently report no problems with floating. However, for some, getting in the tank that first time can be a little nerve wracking. It's good to remember you're always in control of your environment and you can get out at any time. Before you enter the tank, open and close the door a few times to get a feel for the light weight of the door. It also serves as a reminder that there is no lock and you can open or close it at your discretion. FAQ: How Often Do You Change The Solution In the Tank? One of the first questions we are asked about float tanks is "Do you change the water after each person floats?" A good question! Many people are surprised to hear the answer is "no". Thanks to the amazing (almost magical) properties of salt, the tank water is changed every 6 months or so. The next question is usually "do you use chlorine?" Once again, the answer is "no".